As General Washington reveled in his victory at Yorktown in October 1781, British and Loyalist forces assembled at Ticonderoga to attempt a push down the Champlain Valley to control this strategic North American waterway. Witness as soldiers and sailors work to resurrect old cannons thrown in the lake in 1777 by evacuating armies. 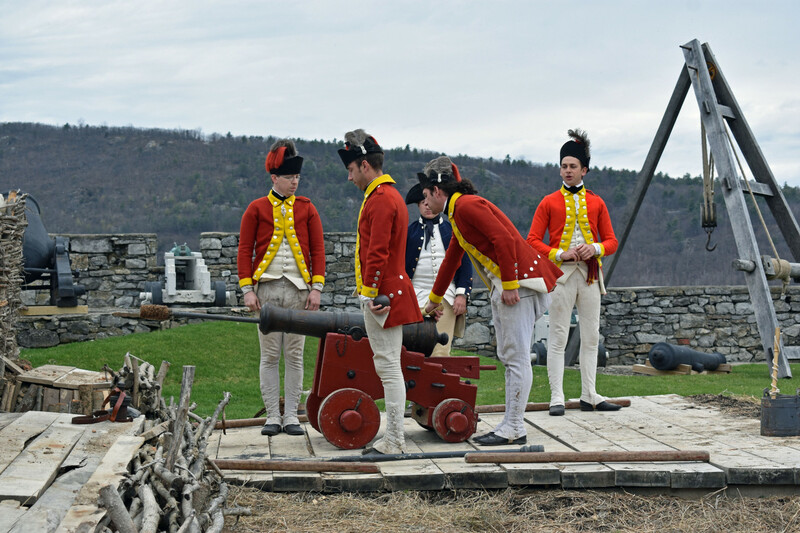 Witness tradesmen of the British army diligently repairing remnants of the fort to secure the vital ground at Ticonderoga. Event tickets are $12.00. Free admission is offered to Members of Fort Ticonderoga, Ambassador Pass holders, and children age 4 and under. The event runs from 10:00am-4:00pm.